4 Bedroom Detached House For Sale in Milton Keynes for £425,000. A very well presented four DOUBLE bedroom detached family home with TWO EN-SUITES, available for sale in the popular village location of 'Woburn Sands'. 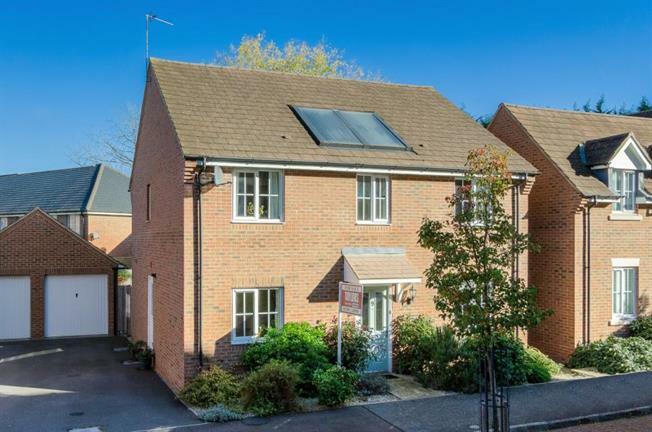 The property benefits from single garage with off road parking, double glazing throughout, gas to radiator central heating with solar heated hot water, 'Amtico' flooring on the ground floor and garden to rear. The accommodation in brief comprises: Entrance hall, downstairs cloakroom, lounge, dining room, study, kitchen, utility room, first floor landing, master bedroom with en-suite, guest bedroom with en-suite, two further double bedrooms and family bathroom.